paul gregutt's washington wine blog – unfined & unfiltered: what lies beyond jay miller? I have never met Schildknecht, but I have read his reviews in The Wine Advocate over the years and as far as his writing skills and (apparent) palate mastery are concerned, he is light years beyond Miller. I don’t hold any hope that Washington and Oregon will ever occupy a particularly important place in the Advocate scheme of things, and to my knowledge, Schildknecht has never set foot in the region. But I would hope, until proven wrong, that he will approach these wines without prejudice, and return some reasonably critical thinking to the reviews. Although the point escalation under Miller has been excessive, there is no reason that a more informed and thoughtful critic couldn’t pull back a little, and start to write reviews that reflect the true strengths of the region. I will look forward to seeing what develops, and if Mr. Schildknecht happens to read this blog, I would invite him to contact me if I can be of any assistance. I've known David for years and consider him a huge influence on my career and my so-called writing. David has an unparalleled wealth of knowledge and I believe him to be one of the most experienced and intelligent souls in the wine biz. I have no doubt the wines of Washington and Oregon will impress him as they have myself, probably more so. The wine industry in your neighborhood will be profoundly blessed to have him covering that beat. I do welcome the news because I felt that reviews were a bit biased under Mr Miller's tenure (trying to stay PC). I am concerned about the vast region that Mr Schildnecht has to cover now - how can he do all that? On the positive, Mr Schildnecht reviews Germany and is a great Riesling fan so it will be interesting to see if he can bring something to our region by his insight and be a good ambassador of our wines. 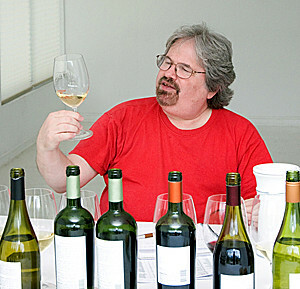 pardon my naivete, but why would Schildnecht approach OR and WA wines with prejudice? and what flavor would that prejudice be, anyway? Stephanie, I was expressing a hope, not a fear. I do not know the man, and have no clue what his palate preferences and/or prejudices may be. But I have seen a sharp deterioration in the quality of the Advocate's NW coverage, and I sense that Mr. Parker is not especially interested in this region. Prejudice can be very similar to neglect.